Trailer Tracking with Powerful Analytics + Reporting. We deliver what you need to assess your fleet + draw reports on the information that matters. Increase efficiency and reduce costs by knowing where your assets are when you need them. Get alerted when your trailer is on the move, stops, gets loaded or unloaded. Your dispatchers and drivers will be able to confidently locate the asset they need to find/access. The TGI approach is one that gives you complete confidence your trailer is either in a landmark or it is not. Our extensive use of complex polygons allow our clients to really leverage the information for operations and customer support. Dispatchers and drivers can be guided to exact locations using the landmark overlay of trailer locations within landmarks or anything “over the road”. TGI can customize your reporting structure and all reports can be viewed on screen with any browser or output reports in many accessible forms such as excel, pdf, csv, etc. The yard check report will provide an update of each asset per location. This information will provide you the opportunity to predict where your assets are. This report focuses on assets that have NOT physically moved. This report is a critical tool in finding those assets that have NOT moved. This is an excellent report to find those dropped assets at a switch point. This report shows the last known location and landmark for your entire fleet. 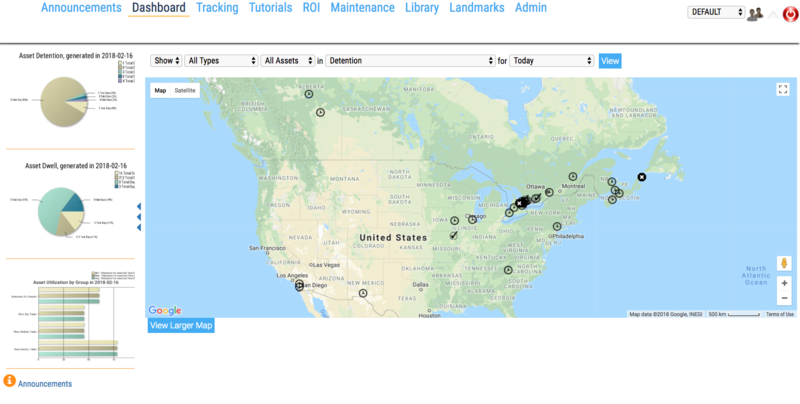 See the entire picture of your fleet and last known location in one simple and easy to read list and customize when you receive alerts and output reports. 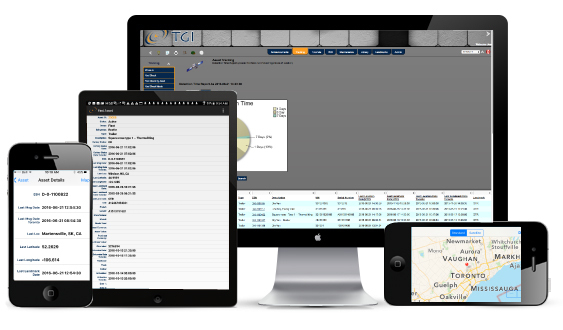 These reports focus on how your fleet is performing as it relates to utilization. Utilization in this context is if the asset is moving. If it is moving then it is an earning potential. Assets that are moving are compared to assets that are at rest. The percentage is then broken down in various ways to give you, the business leader — real insight in operational performance. Assets that should be moving and are NOT moving can cost you money. If those same assets are at a customer’s location they have the potential to earn you revenue. TGI knows that these business issues need to be addressed by our system to aid you in reducing costs and maximizing potential revenue.